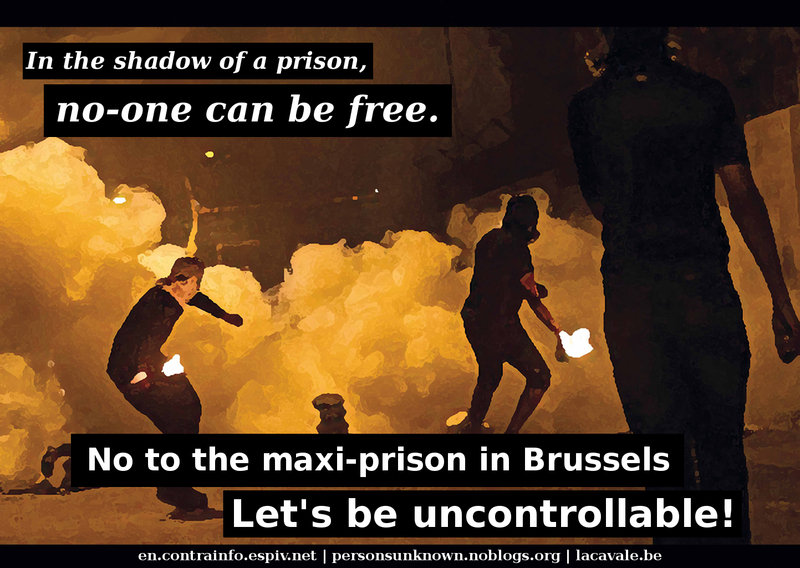 – No new prisons, no maxi-prison in Brussels! – No maxi-prison, not here, nor anywhere! 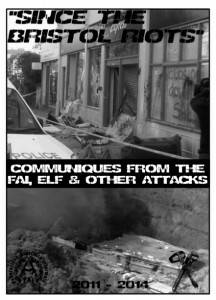 Since the Bristol Riots” is a collection of communiques from the Informal Anarchist Federation (FAI), Earth Liberation Front (ELF), and other anonymous attacks in the Bristol area since the riots in April 2011 until October 2014. The communiques include attacks targeted against police, banks, prisons, military, security services, courts, state, church, fascists, media, communications infrastructure, corporations and more. 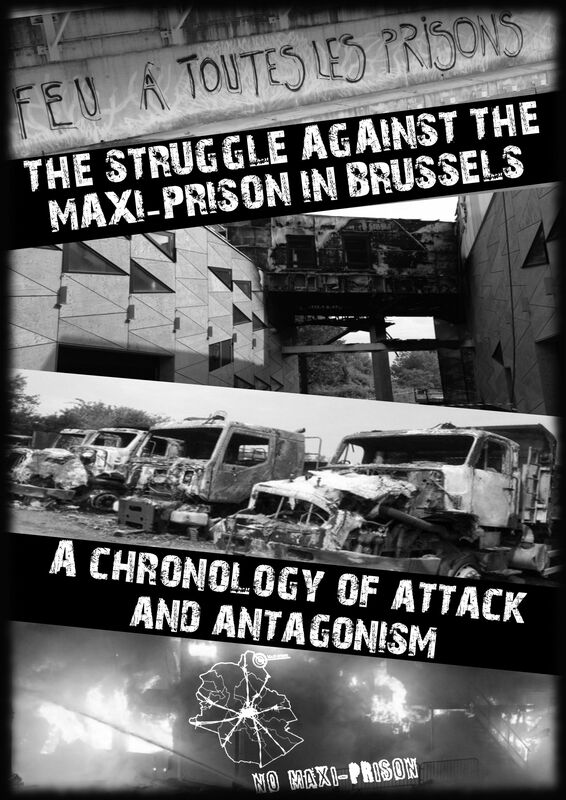 Totaling 96 pages, included is a selection of over a dozen articles related to this time frame and context, such as reports of the Stokes Croft riots and recent police repression against the broader anarchist movement as they investigate the attacks. November 2014 re-release of original zine with Dark Matter Publications initially hosted by 325 in June 2014: An animal liberationist zine about the fight against Huntingdon Life Sciences (HLS). For the first time these 24 communiques from 2009-2012 of MFAH direct action in Western Europe have been compiled for your reading pleasure, alongside articles on the Blackmail 3 case, as well as a critical analysis of the SHAC Model. The inspiration for producing this zine proceeded the imprisonment of Debbie Vincent. The section on the MFAH is dedicated to Darko Mathers. Re-release contains updated prisoner address for Debbie Vincent and details removed about Walter Bond’s pro-life stance in 2011, after his political u-turn in 2013, which unfortunately we were unaware of. Our apologies to Walter Bond for our lack of research and solidarity on the subject.